Summary: Neurocognitive impairments may serve as early warning signs for schizophrenia, a new study reports. Source: Beth Israel Deaconess Medical Center. Interventions targeting memory, attention may help in high-risk period before onset of schizophrenia. 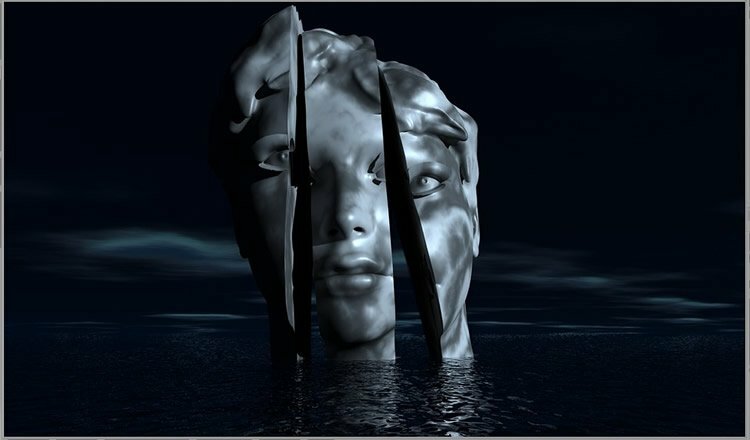 While schizophrenia is best known for episodes of psychosis – a break with reality during which an individual may experience delusions and hallucinations – it is also marked by chronic neurocognitive deficits, such as problems with memory and attention. A multi-site cognition study led by psychologists at Beth Israel Deaconess Medical Center (BIDMC) found that these neurocognitive symptoms are evident prior to the onset of psychosis in a high-risk stage of the disorder called the prodromal phase. Published today online in advance of print in JAMA Psychiatry, the findings suggest that these impairments may serve as early warning signs of schizophrenia, as well as potential targets for intervention that could mitigate the onset of the psychotic disorder and significantly improve cognitive function. Seidman and colleagues collected neurocognitive functioning data from participants at eight university-based, outpatient programs in the United States and Canada over the course of four years. The observational study compared 689 males and females deemed at clinical high risk (CHR) of developing psychosis to 264 male and female healthy controls (HC). Using 19 standard tests of executive and visuospatial abilities, attention and working memory, verbal abilities and declarative memory, the researchers found that the high-risk group performed significantly worse than the control group on all 19 measures. Among the high-risk individuals only, those who later progressed to a psychotic disorder performed significantly worse than their high-risk peers who did not develop psychosis during the study. Impaired working memory (the ability to hold information like a phone number in mind for a short time while it’s in use) and declarative memory (the ability to recall things learned in the last few minutes) turned out to be the key neurocognitive functions that are impaired in the high-risk, prodromal phase prior to the onset of full-blown psychosis. These findings, said Seidman, are in keeping with the experiences of many people with schizophrenia who report sudden difficulties reading, concentrating or remembering things in the earliest days of the disorder. Schizophrenia “conjures up dread” in our culture, Seidman said, but he notes that it is likely these cognitive deficits – not the delusions and hallucinations people fear so much – that keep roughly 80 percent of people with schizophrenia out of work or school. Recent focus on the prodromal period and the growing promise of early intervention is giving patients and their families more realistic hope that better outcomes are possible, he added. Schizophrenia “conjures up dread” in our culture, Seidman said, but he notes that it is likely these cognitive deficits – not the delusions and hallucinations people fear so much – that keep roughly 80 percent of people with schizophrenia out of work or school. Neurosciencenews image is for illustrative purposes only. This study represented the second phase of the North American Prodrome Longitudinal Study (NAPLS), the multi-site research consortium formed in 2003 to focus on early intervention and prevention of schizophrenia. By pooling their data, NAPLS researchers have been able to identify individuals at high risk for developing a psychotic disorder as well as the biological risk factors associated with converting to psychosis. This summer, the collaborators, led by researchers at Yale, published a risk calculator that can help professionals predict patients’ risk of developing psychosis. In addition to BIDMC and Yale, the other NAPLS sites are based at Emory University, the University of Calgary, University of California Los Angeles (UCLA), University of California San Diego (UCSD), University of North Carolina Chapel Hill, University of San Francisco, and Zucker Hillside Hospital. Study coauthors include Daniel I. Shapiro, PhD; Williams S. Stone, PhD; Kristen A. Woodberry, MSW, PhD; and Ashley Ronzio, BS, all of BIDMC; Barbara A. Cornblatt, PhD, MBA, of Zucker Hillside Hospital, Queens, NY; Jean Addington, PhD, of the University of Calgary, Calgary, Alberta; Carrie E. Bearden, PhD; of UCLA; Kristin S. Cadenhead, MD, and Ming T. Tsuang, MD, PhD, DSc, of UC San Diego; Tyrone D. Cannon, PhD, Thomas H. McGlashan, MD, and Scott W. Woods, MD, of Yale University; Daniel H. Mathalon, PhD, MD, of UC San Francisco; Diana O. Perkins, MD, of UNC, Chapel Hill; and Elaine F. Walker, PhD, of Emory University. Funding: This work was supported by grants from the National Institute of Mental Health (U01MH081928, P50 MH080272, R01 MH096027, U01 MH081857, U01 MH081984, P50 MH066286, R01 MH60720, U01 MH082022, K24 MH76191, U01 MH081902, U01 MH082004, U01 MH081988, U01 MH082022); grant SCDMH82101008006 from the Commonwealth of Massachusetts; Clinical Translational Science Award UL1RR025758 and General Clinical Research Center Grant M01RR01032 from the National Center for Research Resources to Harvard University at Beth Israel Deaconess Medical Center; and by grant P41RR14075 from the National Center for Research Resources. Image Source: This NeuroscienceNews.com image is in the public domain. Original Research: The study will appear in JAMA Psychiatry. Beth Israel Deaconess Medical Center. “Neurocognitive Deficits May Be A Red Flag For Psychosis.” NeuroscienceNews. NeuroscienceNews, 2 November 2016. Beth Israel Deaconess Medical Center. “Neurocognitive Deficits May Be A Red Flag For Psychosis.” http://neurosciencenews.com/psychosis-neurocognition-5416/ (accessed November 2, 2016).